Unlike Barbies or Legos, there is no recommended age for letting your children play in the social media sandpit. There is no government-imposed age limit, like for consuming alcohol or driving. There is no parental guidebook (even if there was one, it would have to be updated weekly with each new social media upstart). Technically, most websites don’t allow children under 13 to sign up for an account, as the Children’s Online Privacy Protection Act, known as Coppa, prohibits companies from collecting information on children. But these rules are followed about as much as children adhering to PG-13 and R ratings for movies. Instagram, Twitter, YouTube, Snapchat, Telegram, Secret, YikYak…where does it end? 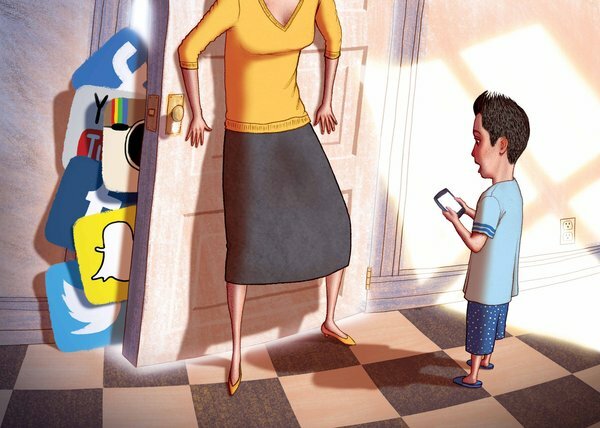 …parents should be vigilant in monitoring what their child posts. In the age of cyberbullying, it also offers a teachable moment. It is imperative that children learn that what they say online can hurt others. Teaching someone digital empathy is a dozen times more difficult than teaching them empathy in real life. And whether we like it or not, this is part of parenting today. This entry was posted in parenting by tablettoddlers. Bookmark the permalink.